Pin pendant measures approximately 7/8" long and 1" at widest point. We bring to you this adorable pin pendant! This piece of Native American jewelry is Navajo hand crafted by artist Joe Martinez, out of genuine sterling silver and real multicolor inlay. 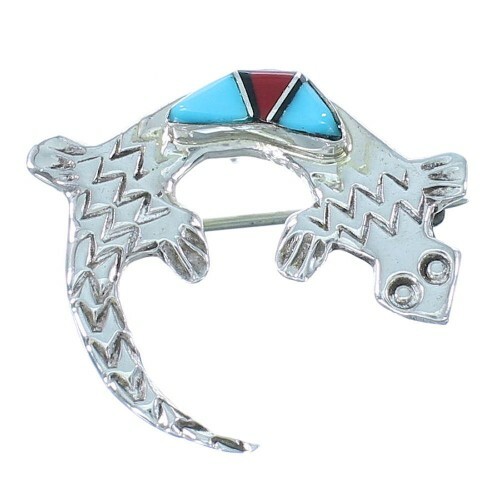 The inlay consist of: real Turquoise, Jet, and Coral. 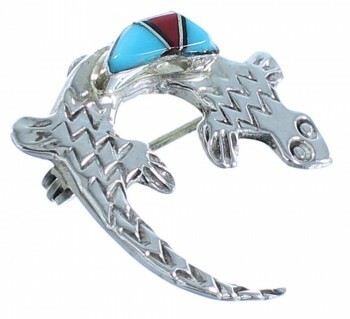 The inlay is carefully set, while hand crafted silver can be seen creating a wonderful Gecko design. Stamped patterns can be seen accenting the pin for an elegant finish. 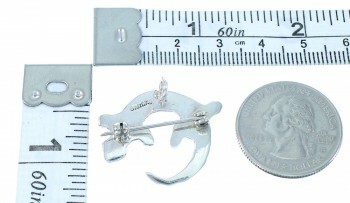 The pin pendant is hallmarked.